The 2018 Life Styled Honorees Now Announced; All Fiercely Unique! Phat Girl Fresh presents The 5th Annual Life Styled Awards and today, we share the 2018 Honorees who have made an impact in our communities! Life Styled, created by blogger, influencer and women’s advocate Maui Bigelow of Phat Girl Fresh, has been giving praise and paying homage to dope female leaders in fashion, entertainment and empowerment. Now in its 5th consecutive year, the Life Styled Honors is back! This year’s honored guest list features a lineup of nine trailblazers with noteworthy success in media, entertainment, style and activism. Weekend events kick-off Friday, April 27, 2018 with an all-white VIP social at Suite Lounge ATL, 375 Luckie St. NW Atlanta, Ga. 30313. You definitely want to be in the house, come dressed to impress, and ready to celebrate those making their mark in their community! Take a look at the 2017 Recap! The Life Styled awards ceremony will be held on Saturday, April 28, 2017 at 595 North Event Center, 595 North Avenue NW Atlanta, GA 30318. Even cooler? Team TCF, The Curvy Fashionista, is the media sponsor! We will be on the scene with Joy Tribble on the Red Carpet, covering and capturing the weekend’s events! If you want to learn more, head on over to LifestyledHonors.com! RSVP and get your tickets at eventbrite.com! Will you be there? Will we see you? We hope to meet you and to hang out! We Did It! And Now It’s Time to Say Thank You to the 2018 TCFStyle Expo Sponsors! Let’s Talk About It: The 2018 TCFStyle Expo Panel Lineup! 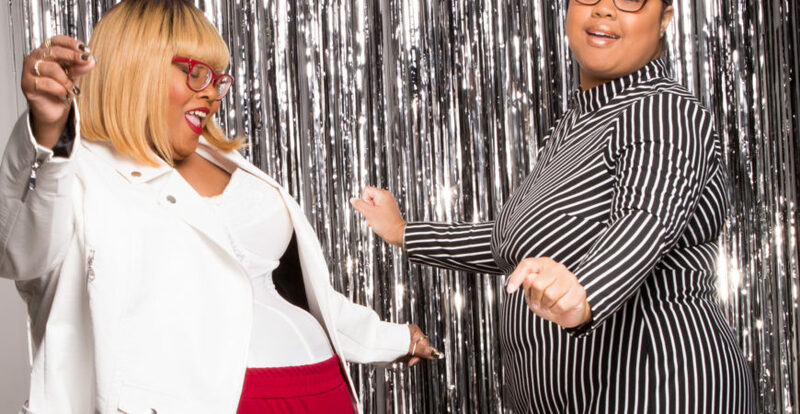 14 Southern Plus Size Bloggers To Know and Watch!